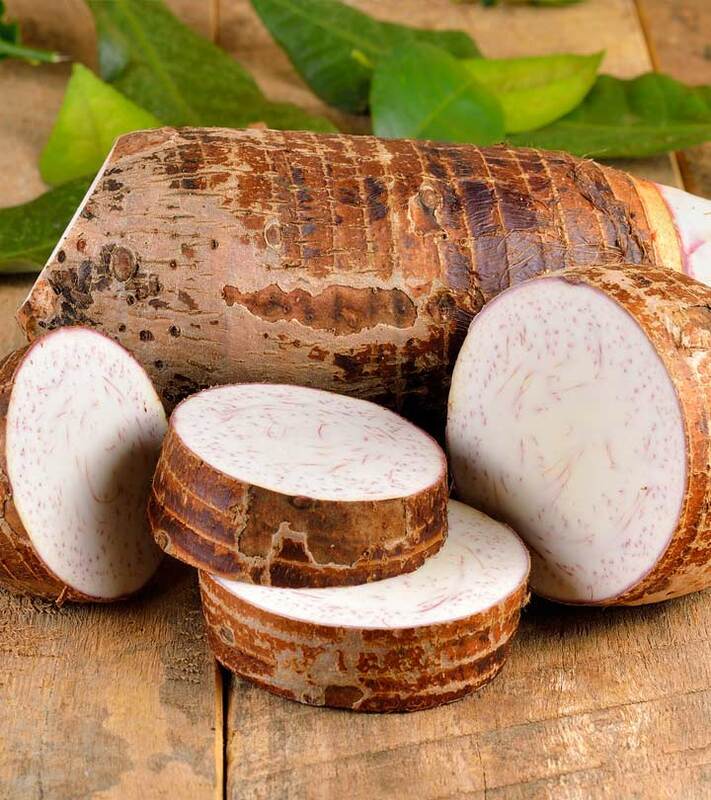 Taro root vegetable or Arbi as we better know it, originates from Malaysia and India, where it grows wild in wet or dry places (1). The taro leaves are heart shaped with white roots that are nutty in flavour. It can cause skin irritation when peeling. Taro is also known as ‘Arbi‘ in Hindi, ‘Chamadumpa‘ in Telugu, dasheen, colocasia esculenta and ‘kacchalo‘ in Punjabi. It has many healing properties that are useful to get rid of many diseases. Taro root is mainly consumed by athletes for long lasting energy. This is because it contains a low glycemic index which is good for athletes. Taro roots can prove to be very beneficial for the ones who want to lose weight, since this has very a low caloric content. One cup of cooked taro can give you 187 calories (2). This root contains a good amount of fiber that is useful for the digestive process. This gives you a feeling of being full for a longer time even after a small meal. Thus, eating taro roots can be useful to lose pounds and maintain your weight, since it has low calories and high fiber (3). Taro is one of the best sources of Vitamin C, since one cup of taro can give 11% of your daily requirement of Vitamin C. This acts as an antioxidant to remove toxins from your body and detoxifies it (4). Taro root has a Low Glycemic Index (5). This helps to break down glucose in the liver slowly and aids in weight loss and lowers blood sugar. This is also useful for hypoglycaemia as this provides long lasting energy. Taro is very high in Vitamin A that has more than 160% of your daily requirement of Vitamin A. The leaves and roots of taro contain polyphenols which are great antioxidants to protect even from cancer (6). Taro contains Vitamin E and magnesium that can protect you from cancer and heart disease (7). This also helps to maintain your blood pressure and is helpful for fluid regulation. Taro roots contain magnesium which is vital for muscle, bone and nerve health. 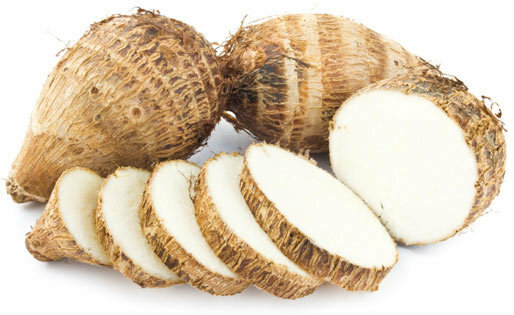 Taro root has more than 17 different amino acids that are essential to maintain good health (8). This also has Omega 3 and 6 oils which are required for maintaining cardiovascular health, cancer prevention, and other diseases. Taro roots and leaves both have great flavors. They can be cooked and impart a nutty flavor, whereas the leaves taste like cabbage. Taro roots are used to prepare curries, fried for chips, cakes, roasted, boiled, steamed, pureed etc. 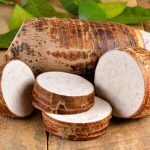 Now you know, what is taro root and its amazing benefits, let’s look into its nutrition data. Hope you liked our post on taro root benefits. Have you tried Taro? Leave us your comments below. Which Vegetables Are Rich In Proteins?